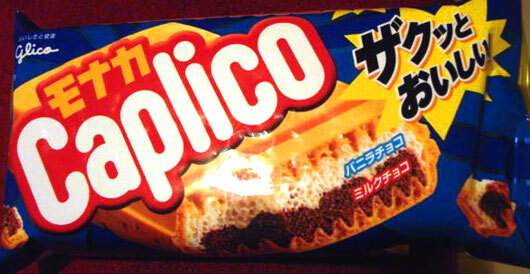 I'm back with a new review for these delectable crunchy little rusk toast snacks called 'Copan' from Meiji! The last Copan review I posted was almost 5 months ago, so I thought I better post another one today before I "unconsciously" decide to neglect Copan altogether! 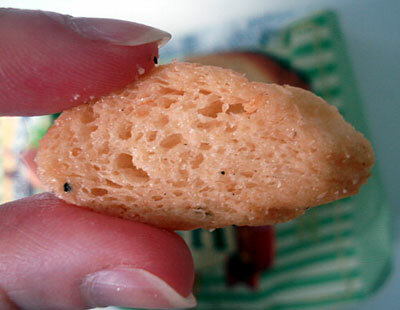 as usual the decent sized pieces of rusks were crispy & crunchy but not hard with just the right texture. And unlike other rusks I've tasted over the years, these Copan rusks are not dry and hard, they have a slightly softer and moister texture than many other rusks. This could be because these Copan rusks were probably fried or deep-fried instead of twice-baked like most rusks are, so these rusks retained abit of the oil hence they have a more softer & moister texture than typical rusks. Now, this can be either a upside or downside depending on the individual. For me personally, I prefer my rusks to be abit moist and not hard & dry, so for this reason, I don't care if these Copan rusks were fried/deep-fried or baked or what not, as long as they are a bit more moist and I'd be happy, and they are, and these salad Copan rusks were no different, so no complaints here about the texture of these Copan rusks A packet of these Copan rusks from Meiji are usually around 250-270 calories per pack, which is less calories than a typical 56g packet of flavored potato chips. 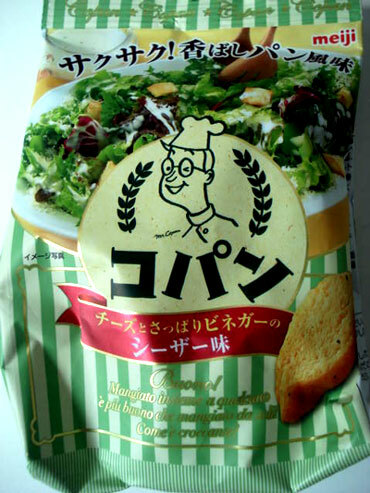 The seasonings were flavorsome too; generous & accurate, I was able to taste the freshness of salad flavor from the seasonings and my taste buds even detected a slight tangy flavor of mayonnaise from the flavorings, which was nice, it really helped to enhance the overall flavor of salad. Overall, this is definitely another sure hit flavor Copan rusk snack, great texture rusks with flavorsome & accurate seasonings, what more could you want from rusks? 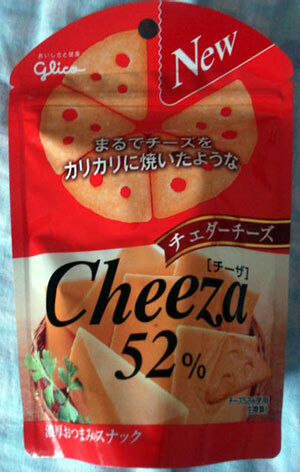 I really like these 'Cheeza' cheese cracker snacks from Glico, they are full of cheese flavor & great to munch on with any beverage or just by themselves. the crackers were thin and crispy and loaded with rich cheddar flavor, which is expected considering each cracker contains 52% cheddar! 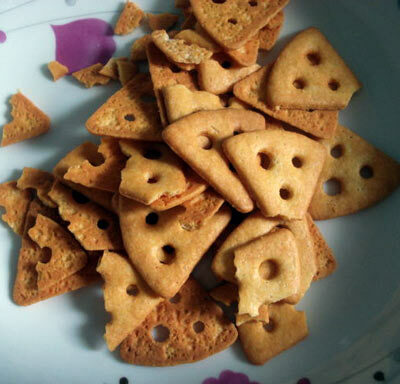 Forget about those other commercial cracker snacks that claim to be "cheese" crackers, most of them only contain around 20% cheese or less and most of that cheese flavor comes from the seasoning. But with Glico's Cheeza cheese crackers, there is hardly any seasoning, instead they infuse REAL cheese content into the crackers themselves, hence each cracker is so rich in NATURAL cheese flavor. These cheddar Cheeza crackers are no different, crispy and crunchy thin crackers loaded with substantial amount of cheddar content and flavor, lip-smackingly addictive! Although to me honest, I wish Glico would pack these Cheeza crackers in bigger packets with more quantity, because 42g is really not enough, at least for me! smooth rich milk choc covered a thin layer of strawberry cream, the strawberry cream in the center was sweet but not dominant, there were also some tiny bits of REAL freeze-dry strawberry embedded in the cream, to help infuse some natural flavor of strawberries into the cream, which I thought was a neat touch...otherwise the cream would've simply tasted like artificial flavoring. But the milk choc coating still dominated over the strawberry cream, which was rather unfortunate because the strawberry flavor should've been the star of the show. 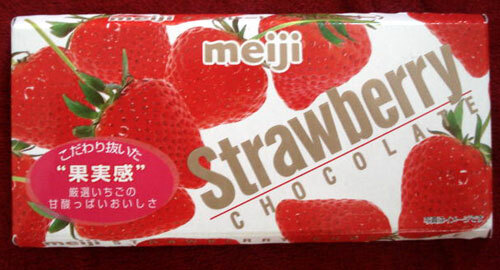 Overall, this was a nice confection from the manufacturer, I like the fact that the makers at Meiji also incorporated some freeze-dry stawberry bits into the cream, it really gave the cream some natural strawberry flavor. But the overall flavor of strawberry just wasn't enough. And the whole chocolate bar was packaged just a little bit too little, I would've liked more quantity of it for my money's worth. Will I buy it again? Maybe. I first saw this new 'Monaka Caplico' confection from Glico featured on the company's official site a few months ago and I'd been eager to try it out since then, I got so excited when I saw them on special at Tokyomart. 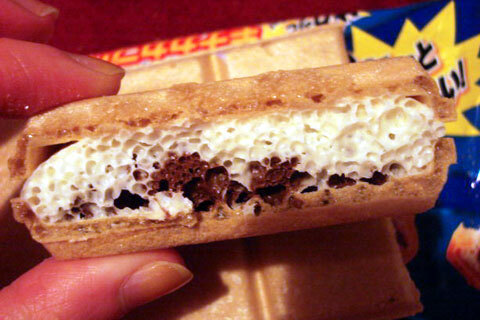 The Monaka Caplico is still a relatively new release, it's a spin-off product derived from the company's popular 'Caplico' aerated chocolate cone confection. Ever since my first delightful experience with the strawberry flavor Giant Caplico almost 2 years ago, I've been quite hooked on this oishii aerated chocolate confection so my excitement over a new spin-off product is inevitable. Because I hadn't tried this new Monaka Caplico confection prior to my last Tokyomart shopping trip, I only bought 1 pack of it...which I live to regret it now because it was so good I couldn't stop craving for it! the monaka was quite a decent size for $1.90 each (that was the special low price), it's basically made of 2 layers of aerated chocolate (top layer is white choc & bottom layer is milk choc) encased inside 2 wafer shells, you can also break the whole thing into 4 individual portions, which I thought was a neat touch as you can share it with others. But trust me, if you're a chocolate lover, you wouldn't want to share this with anyone anyway! The 2 layers of aerated chocolate sandwiched between the wafers were light and sweet, the balance of the white choc and milk choc was complementary, the air bubbles throughout the chocolate created by the aeration process really gave the choc a bold texture, but still melty in my mouth. And the wafer shells were crispy. Overall, these were so irresistibly oishii that I devoured the whole thing in less than a minute and instantly found myself craving for more! and I have to say, I think I love this Monaka Caplico even more than the original Caplico! 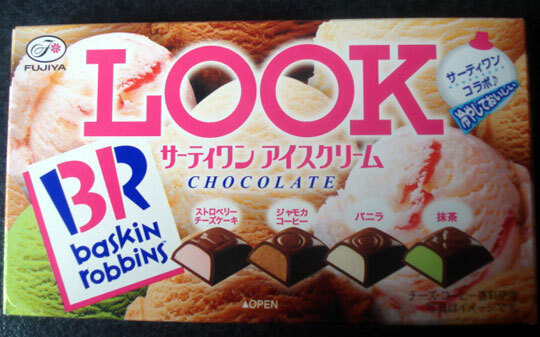 the first I tasted was the vanilla ice cream flavor, the vanilla cream in the center was sweet but mild and balanced well with the milk chocolate coating that was smooth and melt in your mouth, overall a nice flavor and good execution. the matcha flavor in the cream was too subtle for me, it was barely existent...perhaps it's because the flavor is suppose to rendition matcha ice cream and not pure matcha, that the makers at Fujiya went a little too easy on the flavoring? 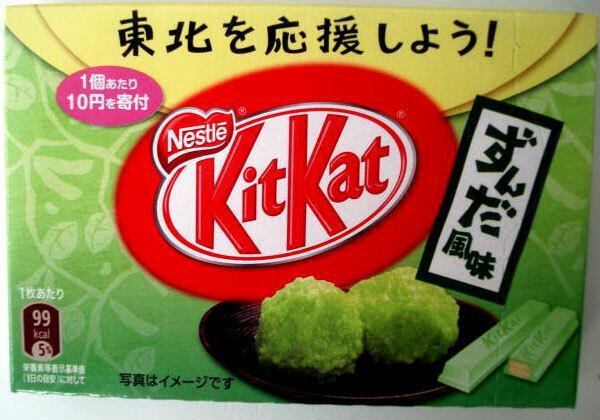 Either way the matcha flavor was too weak for me and nearly non-existant and that was disappointing. 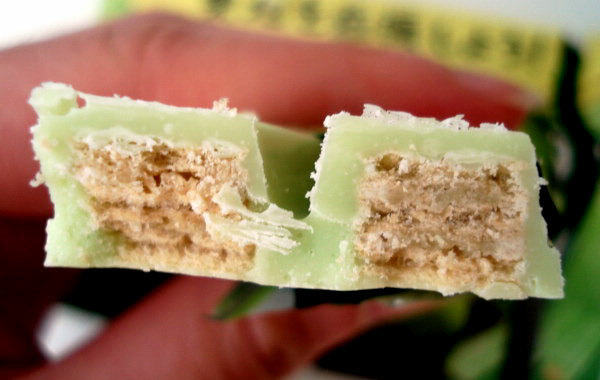 Even if they added just a little bit more matcha powder to the cream, would've redeemed this flavor for me. I was the most excited about this strawberry cheesecake flavor because it sounded so fantastic but once again I was let down, the strawberry flavor from the cream was very mild once again, and I could not taste any kind of tartness from the cream that you would usually taste from a cheesecake. The flavor overall was very weak, the only flavor I was able to taste from the cream in the center was a very mild strawberry flavor. They might as well re-label this flavor as a simple artificial "strawberry ice cream" flavor, because that's basically what it tasted like. 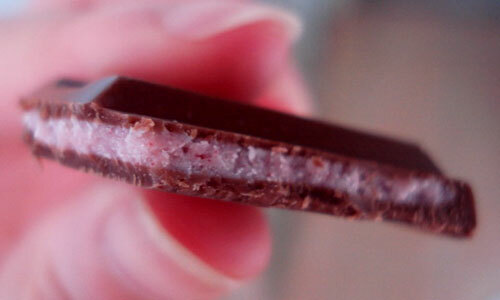 But on the upside, at least the milk choc coating was smooth and rich. All in all, the vanilla and chocolate flavors were by far the best and the saviors of this particular LOOK release. 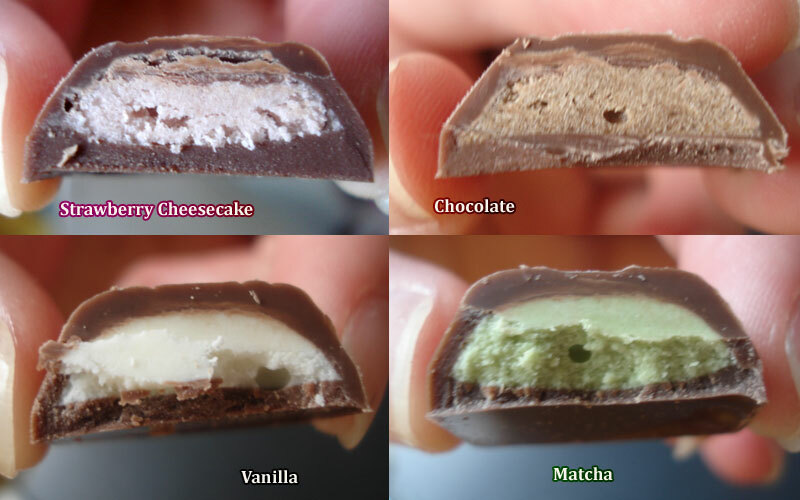 Both the matcha and the misleading "strawberry cheesecake" flavors really disappointed me, the only redemption for those 2 flavors was the rich milk choc coating. 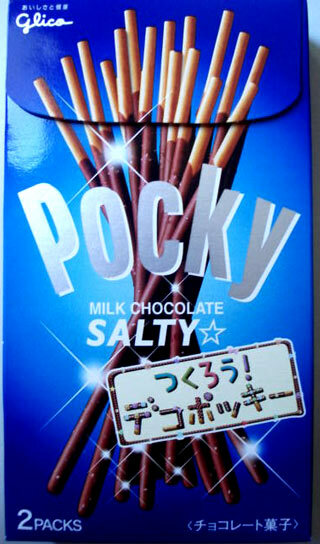 I was so excited to see these boxes of Salty Pocky along the snack aisle in Tokyomart and I knew I just had to grab a couple boxes of them! 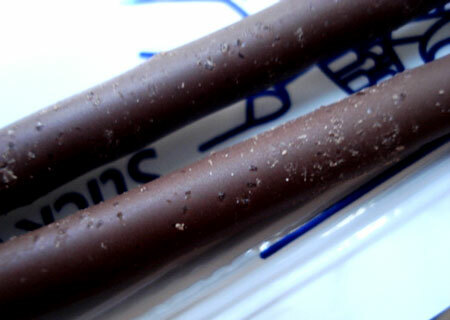 they're regular Pocky biscuit sticks covered with milk chocolate, the only difference with these is that they have tiny granules of salt embedded all throughout the choc coating, in the photos above you can actually see those tiny grains of salt. 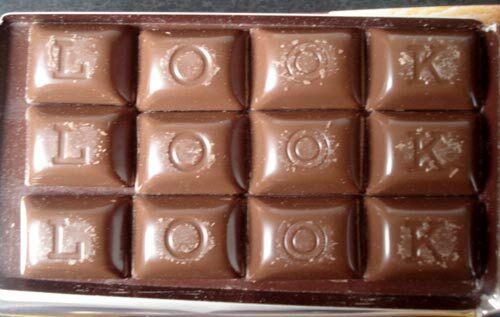 The saltiness from the salt grains was mild but helped to enhance the overall sweetness of the chocolate coating, the contrasting flavors really complemented each other well, truly a great tasting experience! I think I devoured an entire box of these in less than 2 minutes! 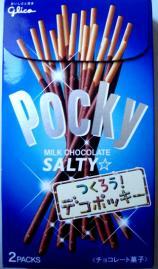 I'm glad I had bought more boxes of these salty Pocky just in case while I was at Tokyomart! 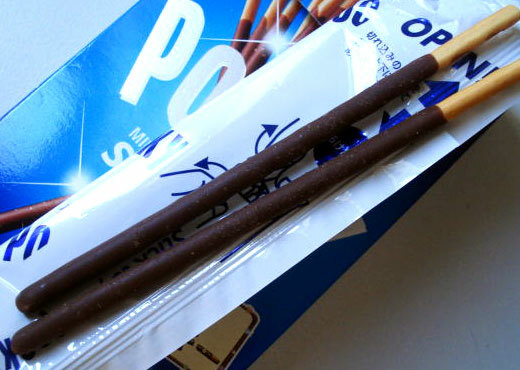 I predicted these would taste really yummy, and being such a Pocky junkie that I am, I knew I would be craving for more of these salty Pocky sticks and would live to regret not getting more! So yes, I was glad I bought 8 boxes! though it still wasn't enough for me to be honest Oh well, I'll be sure to get more the next time I go to Tokyomart!